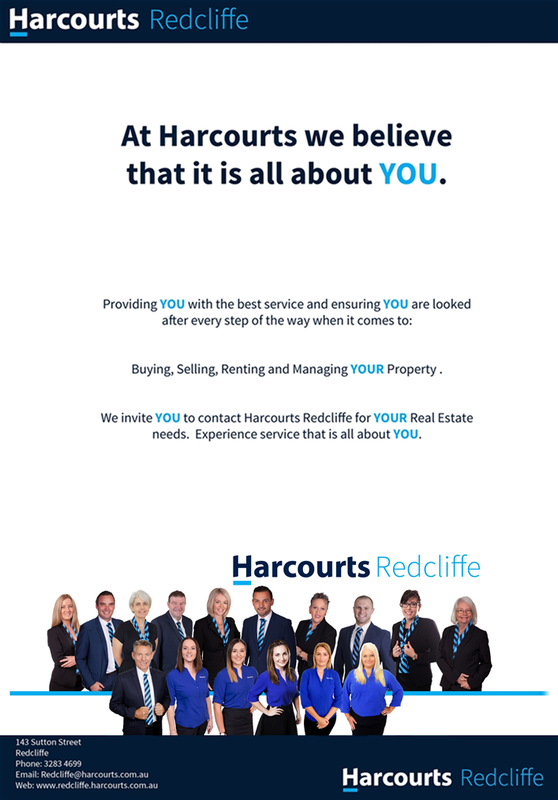 At Harcourts Redcliffe you are dealing with a forward thinking and innovative team and we are fiercely proud and protective of our reputation. Our point of difference in the industry is our ongoing commitment to going the extra mile, doing whatever it takes to achieve our clients’ desired result. One thing you can always be assured of when you trust our team with your business, is that no stone will have been left unturned, trying to find the buyer for your home. With some of the nation’s most skilled salespeople and negotiators and a proven track record in the local area, backed by an international organisation, we are a team worthy of our clients’ trust…..and we stake our reputation on it! Harcourts Redcliffe is absolutely committed to providing exceptional customer service to our clients and we back that up with our unconditional Listing and Service Guarantees. The Harcourts Mission Statement “To create clients for life through the finest service” is the heart and soul of our philosophy and is fundamental to creating positive experiences and the continued success of our business. Harcourts Redcliffe has achieved spectacular achivements. Our continuing success at the company Quarterly and Annual awards evenings prove the teams ongoing commitment to achieving results not only for their clients, but also for their own personal satisfaction. Results aren’t everything, but what else can you go by?